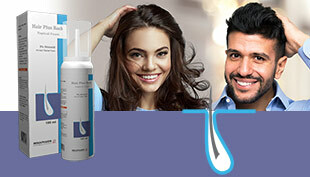 •Otitis media is inflammation of the middle ear, or a middle ear infection. •It occurs in the area between the tympanic membrane and the inner ear, including a duct known as the eustachian tube. It is one of the two most common causes of an earache - the other being otitis externa. Diseases other than ear infections can also cause ear pain, including cancers of any structure that shares nerve supply with the ear and shingles which can lead to herpes zoster oticus. Though painful, otitis media is not threatening and usually heals on its own within 2–6 weeks. -Pharyngitis is caused by swelling (inflammation) of the pharynx, which is in the back of the throat, between the tonsils and the voicebox (larynx). 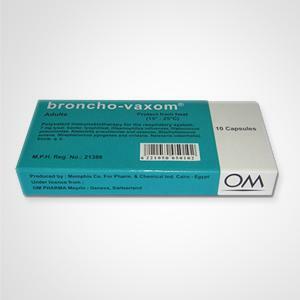 At what time of the day is it best to take the Broncho-Vaxom capsules/sachets ? The capsule/sachets should be taken in the morning on an empty stomach; it is the best moment for an optimal effect of the product. My baby is 13 months old. I breastfeed her in the morning at 7 a.m. but she is very sleepy then and I don't think I could give her the capsule first thing in the morning. She "officially" wakes up around 9.30 and eats between 10 and 10.30, a meal that consists mostly in fruits & cereals/biscuits. Is it ok to give her the capsule before this meal, or should I try to give it in the morning before breastfeeding? 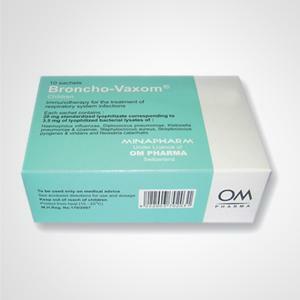 Effectively, Broncho-Vaxom is recommended to be intaken before breakfeast. 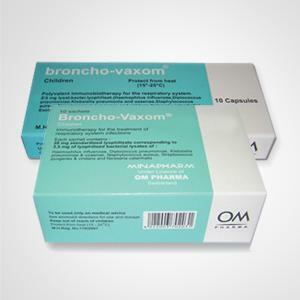 But in the case you describe, Broncho-Vaxom can be given to your baby before the fruits/cereals at 10h/10h30 with preservation of the properties of the product. My daughter is 7 years old. Is it a problem if she has breakfast after taking BV? Is there any strict rules regarding having breakfast after taking BV? The instruction says there must be a one hour interval between taking BV and breakfast but I would prefer having breakfast before she goes to school. Is 15-20 minutes interval enough?